The SignEasy team is always wondering why businesses, large and small, are making paperwork so difficult for themselves, fussing with an outdated printer/scanner and rushing to the post office before it closes. The world is moving toward digital everything, and the modern business won’t be able to survive on manual paperwork processes any longer. Did you know that all these types of documents can be signed electronically ? Standardize and automate your procedures so that documents can be quickly adapted and sent off for signature at just a few clicks of a button – whether you are using a desktop, smartphone or tablet. There have been over 5 million downloads of the SignEasy app since 2007, and millions of documents successfully signed, tracked and securely stored. Australian-based law firm Go to Court Lawyers was one of the first companies to adopt SignEasy in their office and they were just amazed at how much of an impact it made in their daily lives. “Our lawyers use SignEasy pretty much every day”, explains James Habjan, the Technical Support Officer. We’re here to bust a few myths and show you just how simple it is. Fact: This is not true. Electronic Signatures are legally binding. Many cases have already had judges rule in the favor of Electronic Signatures, so precedent has been set. If you can prove consent and intent, just as you would need to with a physical on-paper signature, then your Electronic Signature is legally binding. Whether your important legal documents are in motion or at rest, they have been encryption so they are just if not more secure than paper that is locked up. All file formats are immediately converted into PDFs for extra security. You can store all legal documents online for as long as they need to be retained. Either store your electronically signed document in your own cloud-based storage system, your own personalized SignEasy dashboard system. You can utilize the third-party integration that SignEasy already has with Dropbox, box and Google Drive (to name but a few). Now about legal compliance. We take the responsibility of personal data – critical or otherwise – very seriously. 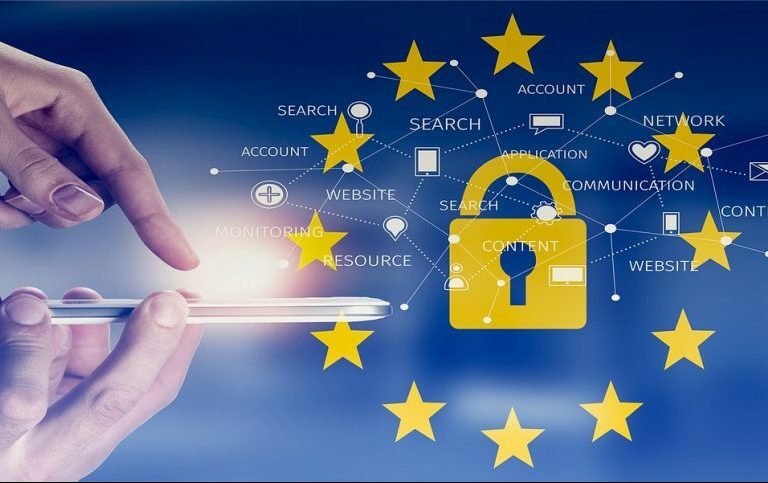 We’re compliant with the major laws, including GDPR and the ESign Act. The Chain of Custody (CoC) is much simpler with Electronic Signatures than using online fax systems or physical documentation. The entire sequence of custody and control is accounted for with a clear audit trail, complete with verified email addresses, IP address and time stamps. What’s more, by using cloud-based storage, there is no danger of paperwork going astray or getting damaged. With Electronic Signatures, there is no more waiting for clients to print and complete by hand before posting them back to you. You are no longer dependent on your clients needing a printer, scanner or fax and there’s no excuse for delays in signed paperwork coming back to you. Turn-around time will be faster as it’s also much easier for clients to use. You can simply use existing templates – whatever the format – and from the SignEasy dashboard you can easily amend the templates, highlight which sections need to be signed or annotated, and share it via email. You will find the work flow much simpler to use and increase overall company productivity. We all know that legal contracts can be very long – sometimes just one contract alone needs to be initialed on100 pages and signed across several places by multiple signees. Imagine if all that could be done simultaneously? Well it can be. Once you are logged into your SignEasy dashboard, you can share the same document with up to three signers including the account holder for every document. If you need more than three signees on your legal document then you can re-import it into the dashboard and use the second and third person signature options. SignEasy has no limit to how many signatures there are on one document. You might say, hey SignEasy , not all documents can be signed. That’s not the case. If you mean because of physical constraints then let us tell you this: you and your clients can also use SignEasy in-person and remotely while on the move. You can use SignEasy even if you are offline. Perhaps you are worried about the file format you need to sign? Well, SignEasy supports PDF, MS-Office, Open-Office, Text, HTML, RTF, CSV, images (JPG, BMP, PNG, TIFF) and Apple Pages format! It’s easy to electronically sign your legal documents. You can import your own signature, use SignEasy’s own easy-to-draw signature creator. The system allows you to re-size your signature as needed. We are always busy adding cool features. For example, if you are using iOS, even use your iPhone camera to take an image of your handwritten signature. You can custom brand your documents too! Other than signing, you can also insert date, time and any text or image on the document. You can change the font style, the colors of all annotations. If there is a feature you want but can’t seem to find, contact our support team! Electronic Signature systems are not nearly as expensive as you think. Our customers tell us that SignEasy is the most cost-effective Electronic Signature solution. You will save money when you switch to Electronic Signatures. Save loads of labor hours as you no longer need to convert contracts into different formats for emailing. The costs of running a paper office are huge – whether it is purchasing paper, storing signed documentation, maintaining technical machines like printers and scanners, and postage and courier costs. Want to find out how law firms and legal teams are already using SignEasy ? Then read our full Legal Case Study now. Set up your team for success with Electronic Signatures. Start your free 14 day trial now.